Generally, building fences isn’t a particularly difficult task. However, it can become quite overwhelming for homeowners if the landscape is unlevelled and the fence needs to be installed on a slope or a hill. 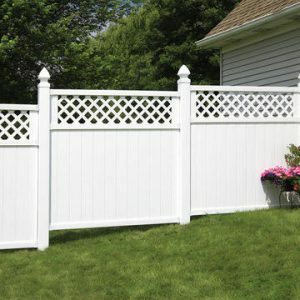 In this article, you will learn how to put up a nice-looking fence on an uneven ground and what tools you need for it. Before you start planning your project, there are a few things that you need to think about ahead. First of all, you need to check your local building codes and make sure you actually have a legal permit to build a fence around your property. This sounds like obvious, but it’s surprising how a lot of homeowners forget about the basics when planning their home addition projects. Do not make that mistake and take care of legal permits first. Of course, everyone has a different situation and the list of tools may be different for everyone as well. However, you will definitely need the tools listed above. In order to build a high-quality, long-lasting fence, you need to make sure the posts are level. Grading is a very important process that comes first before any construction work was done. Before building a fence, you need to even out the surface to provide a firm foundation for the future construction. 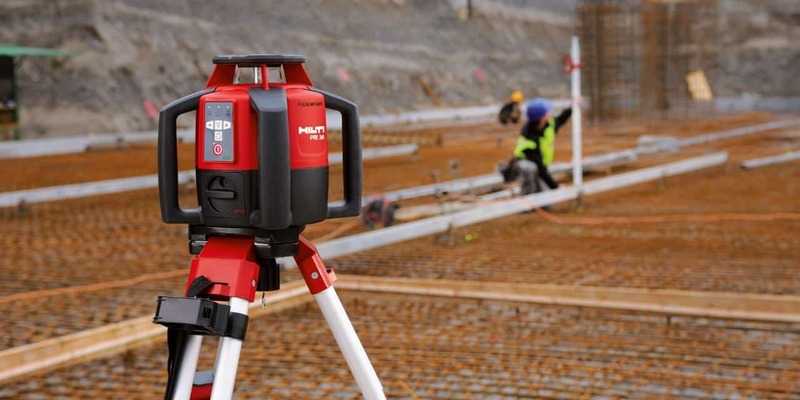 While the line levels are still good, you should consider using a laser level since it offers much more benefits and makes the job easier for you. It’s a pretty much must-have tool for any DIY work these days. Inaccurate grading can cause a lot of problems for the fence in the future so this step should be taken seriously. Use a laser level to ensure the consistent height of the fence sections. Make sure the posts are level as well. I can’t stress enough how important the measurement stage is. 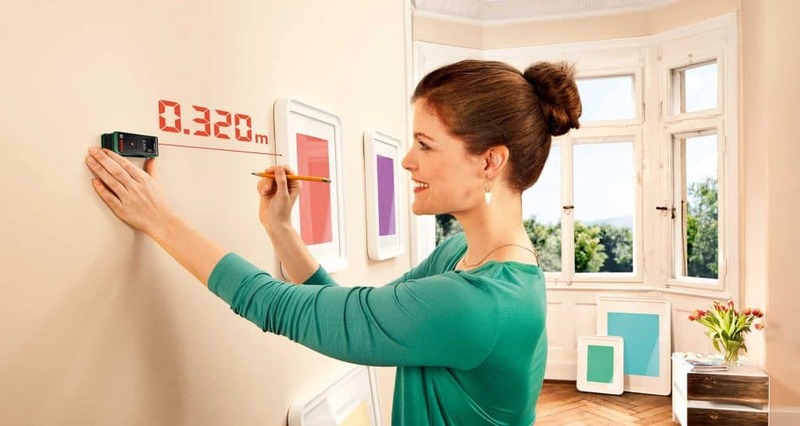 How to use a laser level. Step 1.Set up the laser level on the dry ground, make sure it’s set firmly to avoid inaccuracies. Step 2. 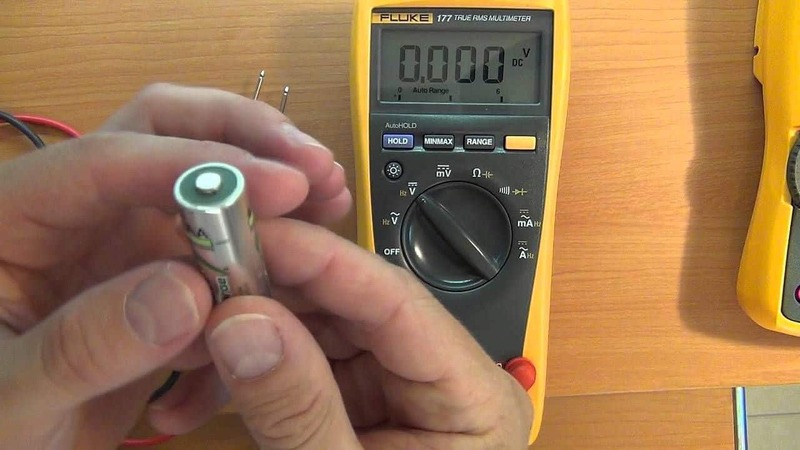 Once you make sure it’s set stable – turn it on. Adjust the screws to manually to level the laser or wait in case you are using a self-leveling laser. Step 4. Point the laser and use another person to adjust the laser detector position until you hear a constant “beep” sound. Generally, there are two ways of building a fence on a slope. You can either “rack” the fence or step it down in sections. In order to figure out whether you want to “rack” or step the fence, what you need to do is measure the incline of the slope. If the slope is steeper, you may want to go for the rackable fence. Racking means that the fence will follow the ground’s contours. They are specifically designed to adjust out of the square. It allows the top and bottom rails to stay parallel to the grade. Keep in mind that rackable panels are usually weaker compared to rigid panels because they are often made of aluminum or vinyl. Another reason for the weakness is the specificity of their structure. With the stepping method, each section of the fence is going down the slope while staying parallel to the rest of the fence. This approach works great for gradual slopes (12 in. per 8 ft.). The gaps between the sections won’t be too large and it will look nice. Stepped fences can be easily installed with preassembled panels. However, you need to make sure that your posts fit the height of each panel. 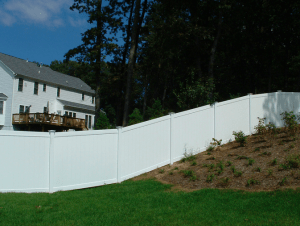 Since each panel of a stepping fence is level, you will inevitably have gaps underneath them. Not only it doesn’t look good, but it can be a problem for pet owners since the pet can escape through the gap. 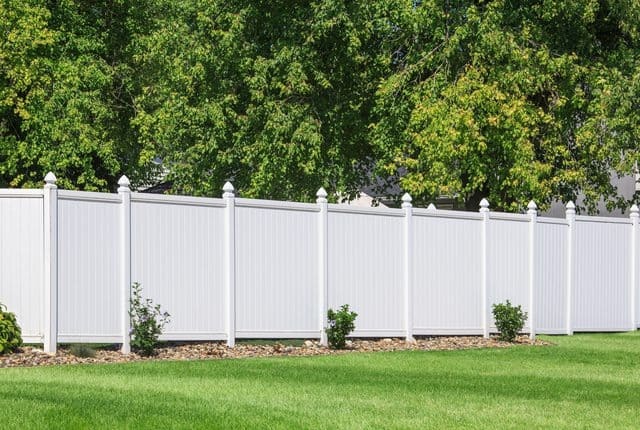 Whichever way you choose to opt for, installing fence on uneven ground is always a great way to make your yard look nice, add value to your house and maintain privacy. While building a fence on an uneven ground does include additional challenges, the end result is definitely worth it.